And now, for something completely different… Have you ever tried Mochi Brownies? These rice flour “brownies” taste like a cross between chewy sweet mochi and chocolate cake. They are moist, chocolaty, with a springy and chewy texture. There are various types of “rice flour” on the market. If you want the mochi texture – be careful to use mochiko flour only (found in the Asian section of your regular supermarket). I use the Koda Farms brand, with the blue star on the white box. Mochiko is made from Japanese sweet (glutinous) rice (mochi gome) – other brands are made with different types of rice, and wrong rice = wrong flour! 2. 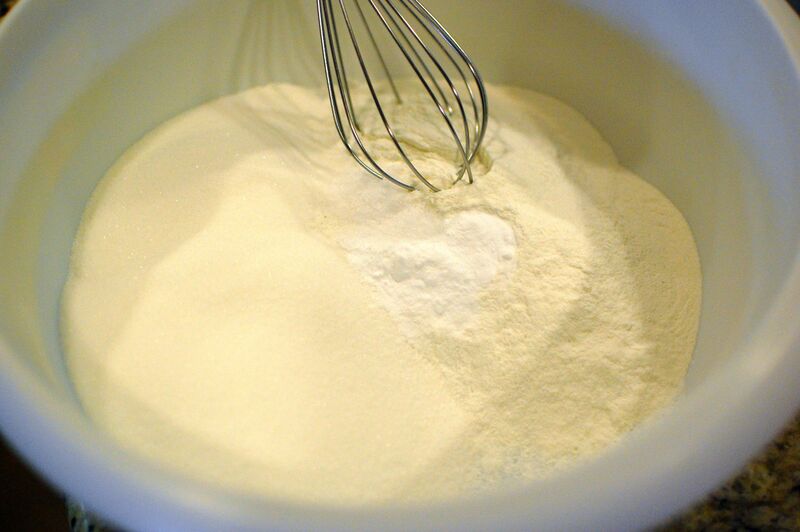 Sift the mochiko, sugar, baking soda, and salt in a large bowl. 3. Microwave the butter and chocolate chips for 1-2 minutes to melt. 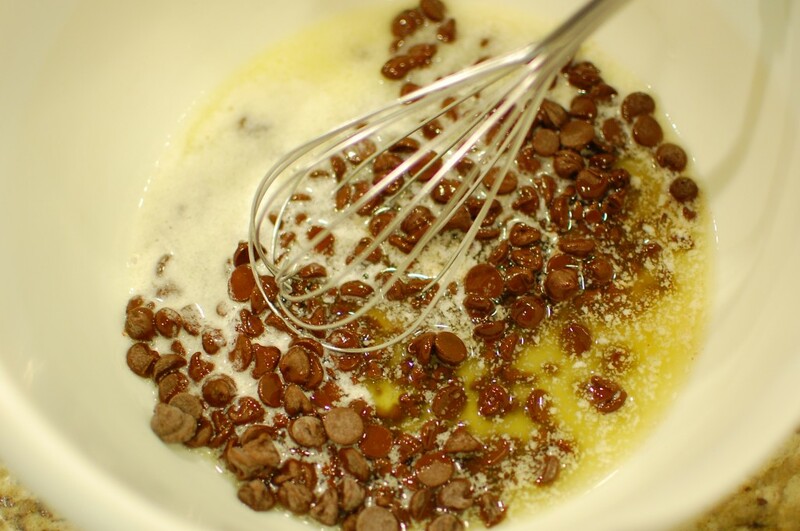 You do not need to melt the chocolate chips all the way – once it seems somewhat “melty”, just stir for a few minutes, and the chips will finish melting. 4. 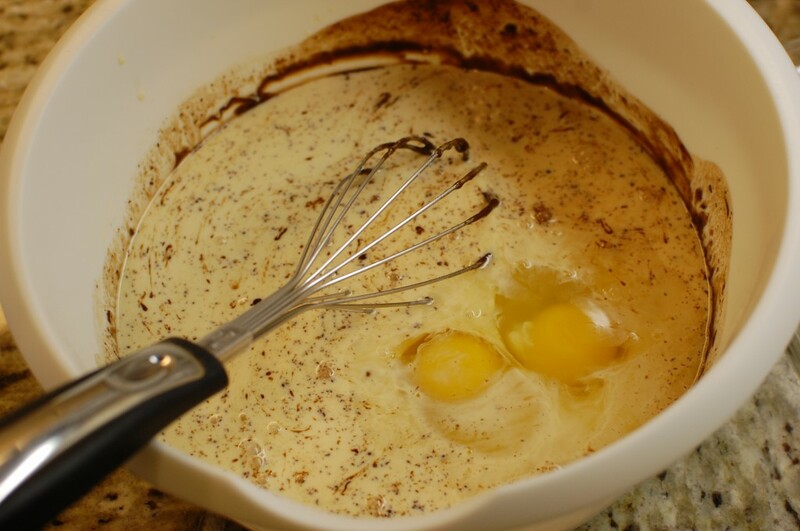 Add the milk, eggs, and vanilla extract to the chocolate mixture, and mix with a whisk until completely combined. 5. 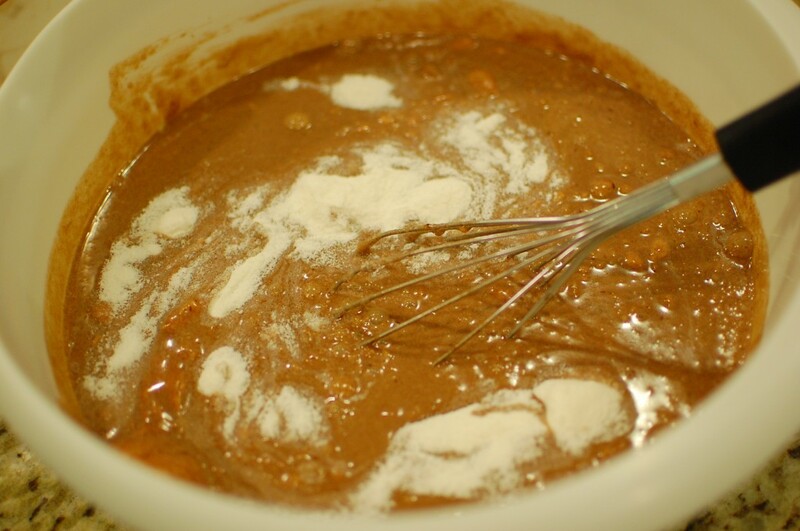 Pour the chocolate mixture into the sifted dry ingredients, then continue to stir with the whisk until no lumps remain. 6. Pour the batter into the prepared pan and bake for about 45- 50 minutes at 350 degrees. 7. 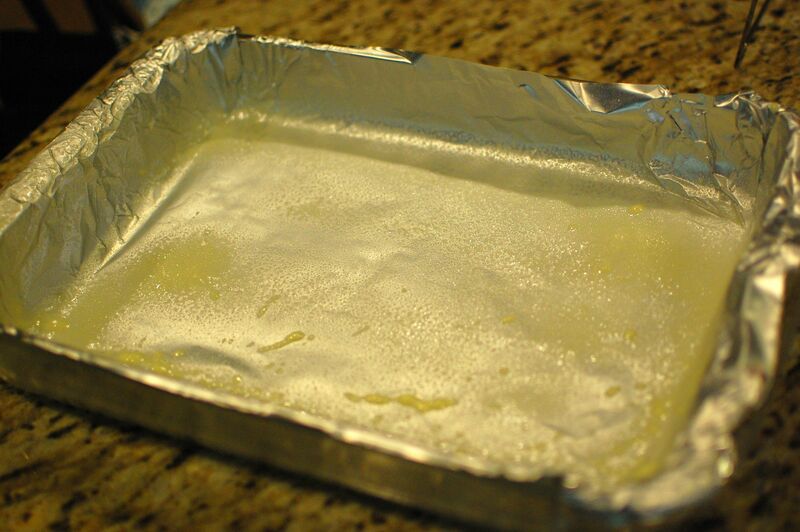 When done, allow to cool for 5- 10 minutes, then using the foil as a “sling”, remove from the baking pan and set on top of a large cutting board to cool. When cool, cut into squares. Serve warm or room temperature. Wrap with plastic wrap and store at room temperature. 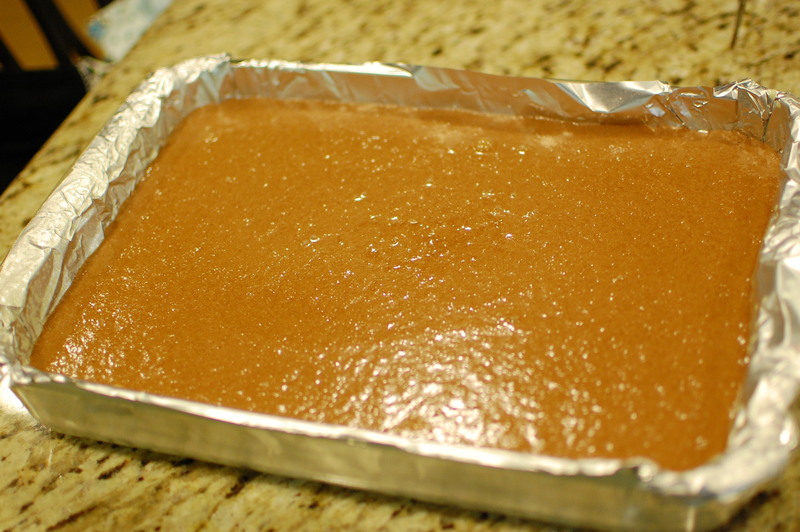 Yes, the batter is much less thick for this recipe than for regular brownies… rice flour tends to absorb more moisture when it bakes, so it will seem much looser. 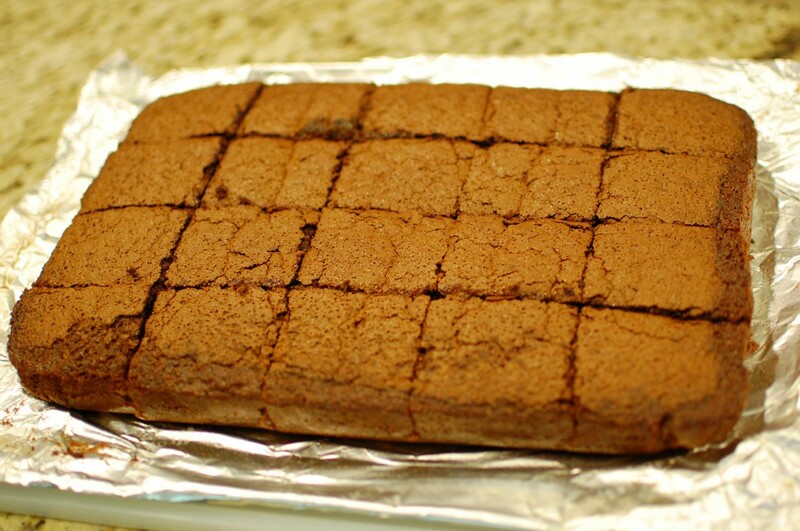 The texture is not quite the same as a regular brownie – you are right! It’s kind of like a cross between mochi and a brownie. Tried these just this morning and I’m not sure they came out right. The chocolate separated from the mocha layer so there’s a noticeable layer difference…light on the bottom and dark on the top. Even though I baked for the full amount of time, these seem gooey-er than what your image looks like. 3 cups of milk is quite a bit, maybe I should’ve tried less? Any suggestions? Have you ever cooked with mochiko before? It’s the same flour that you make mochi with, so it is supposed to have a slightly gooey-er texture compared to anything made with wheat flour. 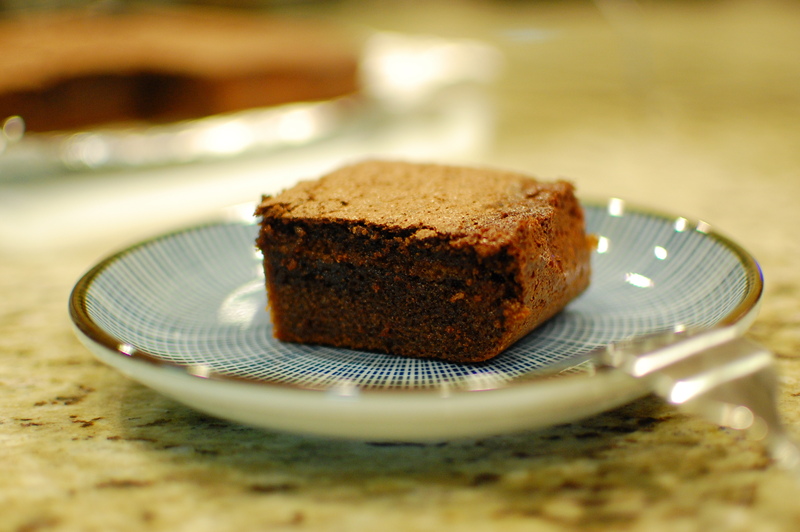 It’s a cross between a brownie and mochi, so it shouldn’t be quite cake-like in texture. It’s hard to describe if you are unfamiliar with mochi. 3 cups of milk is correct, the batter will be quite watery before baking – the sweet rice flour will absorb quite a bit of the moisture in the end. As far as the chocolate separating… I’m not sure. I think it’s normal to have a slight color gradient… but not as much as you describe. What kind of chocolate did you use? Are you familiar with the texture of mochi (chewy, glutinous, and soft)? This is supposed to be like mochi, not like American style flour brownies. I’m really not sure why it didn’t work for you… but sweet rice flour absorbs A LOT of liquid, so you REALLY DO NEED the entire 3 cups of milk. The mochi will also harden slightly as it cools, so take care not to overbake. 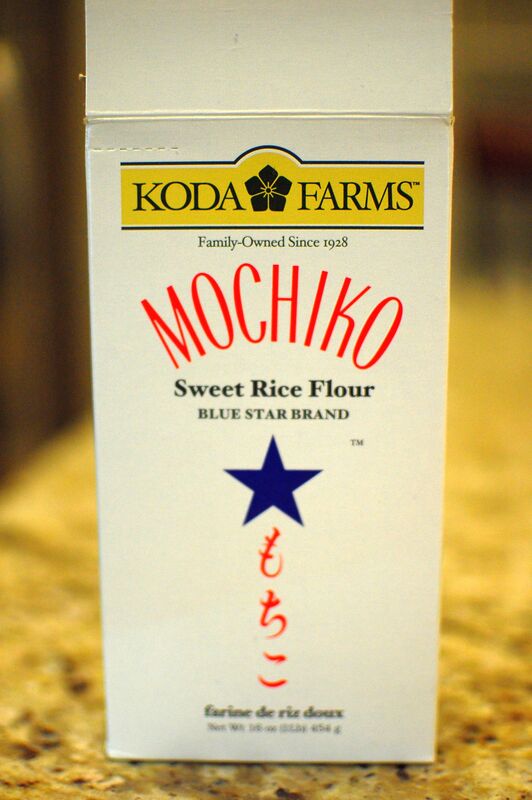 Make sure you are using MOCHIKO sweet rice flour… any old brand of rice flour may not work (and remember regular “rice flour” vs. SWEET/GLUTINOUS rice flour are not the same thing). I followed your recipe exactly (used Mochiko sweet rice flour and brand-name semi-sweet chocolate chips) and the brownies looked and smelled delicious. I also noticed a separation after they’d cooled and I cut into squares. The bottom half was more chewy and glutinous in texture, while the top was more chocolatey and cake-like with a crispy top versus the uniform texture of your images. Don’t know why it separated like this but it still tasted very good and I will make this recipe again. Just wondered what happened to cause mine to separate. Really enjoyed these. Mochigome does *NOT* have gluten. The term “glutinous” does not mean it has gluten. Gluten is a *wheat* protein that is not found in any type of rice flour. The term “glutinous” means that it has the texture of glue. 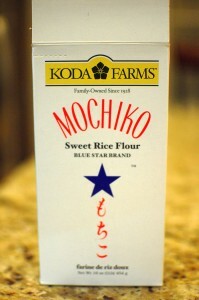 Mochigome (and all rice flours) are gluten free.